Like a smartphone, a smartwatch is nothing without apps. Luckily, developers are busily building apps for Wear OS by Google (formerly Android Wear) and making their existing Android apps compatible with smartwatches. While there are hundreds of Wear OS apps available in the Wear OS Store, we've selected these as our favorites. Wear OS is also compatible with iOS devices, by the way, so take a look! Can set up goals based on your regular activity. Can log workouts after the fact. Doesn't always recognize workouts other than walking or running. Google Fit is an excellent fitness tracker and works especially well with smartwatches. The company partnered with the American Heart Association to provide fitness goals based on their recommendations. If your watch has a heart monitor that's even better. Can see progress at a glance while in motion. Saves stats such as average and top speed for your rides. Can be a drain on your watch and smartphone battery. 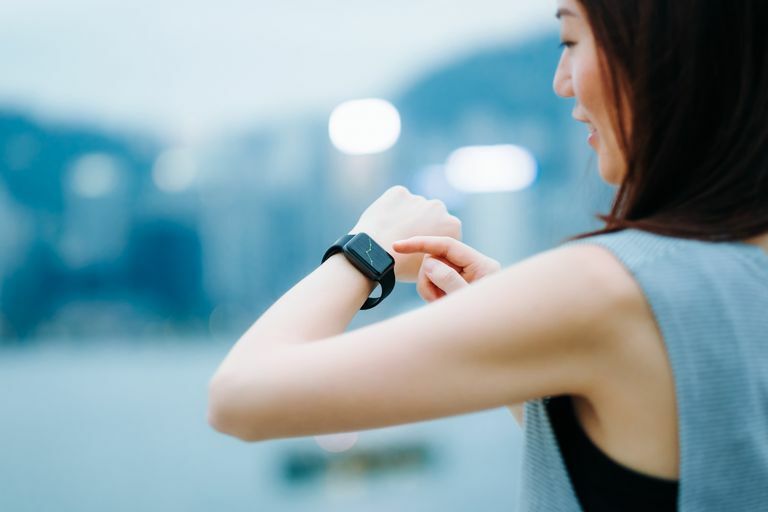 A smartwatch makes perfect sense as a fitness tracker and many have a built-in heart monitor. , an app that tracks running, cycling, and other activities, and offers you all sorts of stats. What's convenient about using Endomondo on a smartwatch is that you can pause and resume the app without digging out your smartphone. Even better, you can quickly tell at a glance whether it's recording your cycling and how far you've pedaled. Can get walking and transit directions discreetly. Vibrates before an upcoming turn. Can't disable it when you're driving or otherwise don't need directions on your wrist. Google Maps is great for driving directions, but it's also excellent when you're on foot (or bicycle). You can easily see your next turn just by glancing at your watch, as well as how far you have to go until your destination. Easily read and capture notes on the go. Offline access not available on smartwatches. and dictate yourself a note on the go. You can then pick up that note later using your smartphone, tablet, or computer. Searchable database so you don't have to start from scratch. Has themed templates for parties and other events. You can add product photos so you get the right size and brand. Can't update your shopping list on watch. Using a grocery list app on your phone is convenient, but having it on your watch is even better. With the Bring! app, you can create and update your list on your smartphone, view it on your watch, and share it with family, friends, and housemates. Tracks your sleeping (including naps) and gives you a sleep score. Sends bedtime reminders and suggests optimal wake times. Sleep tracking requires a premium upgrade ($5.99). Sleep as Android is both an alarm app and a sleep tracker. When used without a watch, you need to bring your phone to bed with you, which can be dicey. With a smartwatch, you can leave the phone on the nightstand as long as you're wearing the watch.